Want to tell a better story with your brand? Download this Free PDF to get started. Story is a powerful communication tool. • Write better books, blogs and articles. • Are chosen as leaders. Telling a good story is the key to being understood. 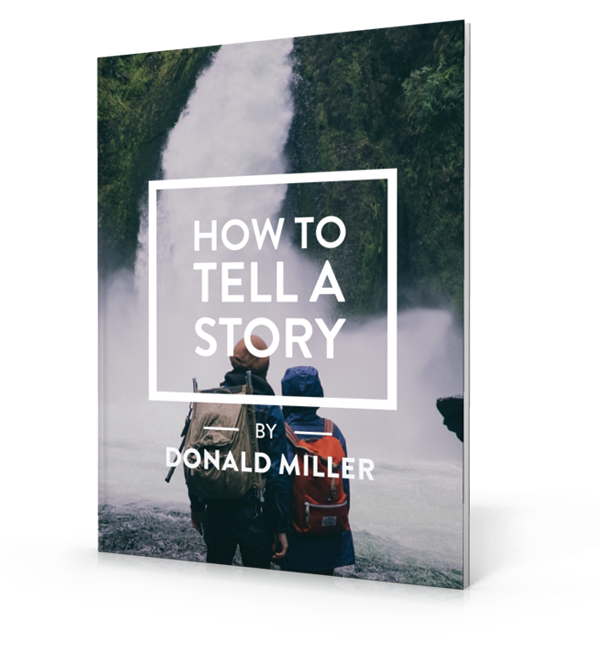 Donald Miller has been writing best-selling books for years and in this free PDF he tells you his little secret. It’s a 7-part story structure he developed based on hundreds of Hollywood movies. It’s easy to learn and easy to use. Read the eBook today and become a better storyteller. No hitch. No gimmick. Why are we giving it away? Because the world is a better place when great people are set free to tell their stories. How to Tell a Story is our gift to you. Enjoy.